The International Monetary Fund's executive board ratified on April 5 its third review of Argentina's economic progress under a major financing deal agreed last year, unlocking a roughly $10.8 billion tranche of funds. "Economic activity contracted in 2018 but there are signs that the recession has bottomed out, and a gradual recovery is expected to take hold in the coming quarters," Christine Lagarde, the IMF's managing director, said in a statement. The Argentine peso has lost around 15 percent of its value against the dollar so far in 2019. Center-right President Mauricio Macri’s government has cut public spending and raised interest rates. Inflation is running at an annual rate of more than 50 percent. 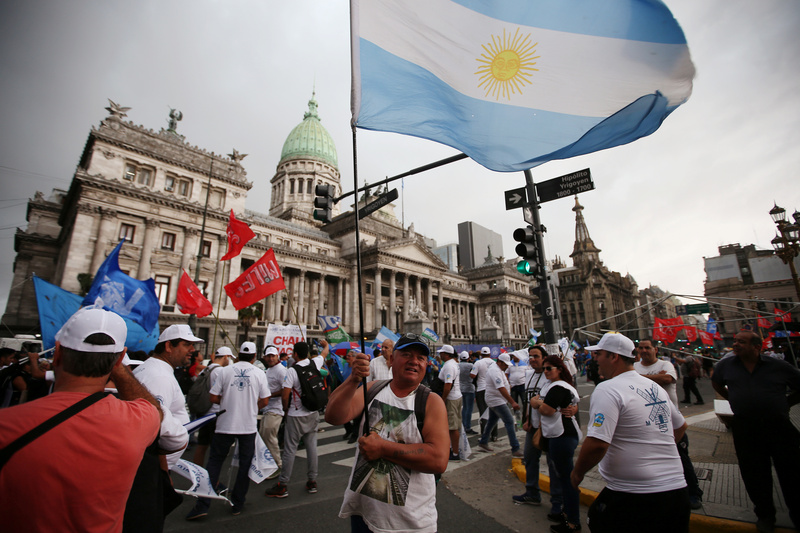 Argentine trade unionists, small-business owners and other opponents of Macri’s measures took to the streets of Buenos Aires on April 4 in the latest protest against his policies. Macri is widely expected to seek a second four-year term in office in October elections.